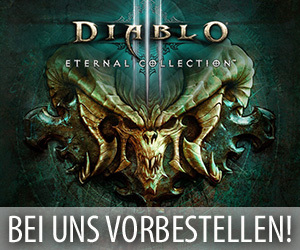 Im Verlauf der vergangenen Nacht haben die für die fortlaufende Entwicklung von neuen Inhalten für World of Warcraft verantwortlichen Entwickler von Blizzard Entertainment zur Überraschung vieler Spieler den neuen Build 29220 auf die im Moment noch immer aktiv laufenden Testserver von Patch 8.1.5 aufgespielt und dadurch dann wieder einmal einige interessante Neuerungen zu dieser Testphase hinzugefügt. Dabei beinhaltete dieser neue Build unter anderem die mit den Wartungsarbeiten in dieser Woche auf die Liveserver aufgespielten Spielbalanceänderungen, das Modell für das neue fliegende Schweine-Mount, neue Ladebildschirme für die überarbeiteten Schlachtfelder und mehrere interessante Gegenstände für den Wolf Hati. Folgend findet ihr bei Interesse eine kurze Übersicht zu den bisher in Build 29220 gefundenen Neuerungen. 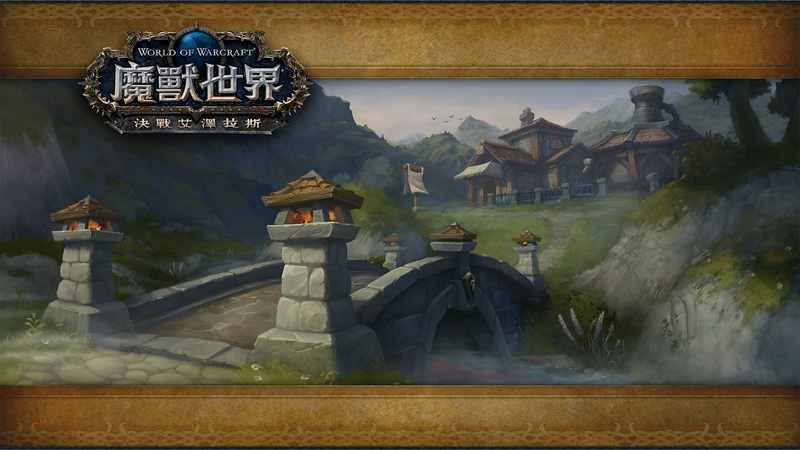 Dieses bereits vor einigen Tagen durch ein Leak auf der chinesischen Internetseite von World of Warcraft enthüllte Mount wird in der Zukunft höchstwahrscheinlich über den Ingame Shop dieses MMORPGs erhältlich sein. Wenn Jäger die mit Patch 8.1.5 erscheinende Questreihe rund um den Wolf Hati abgeschlossen und sich dieses Wildtier als neuen Begleiter gesichert haben, dann können sie scheinbar über einige benutzbare Gegenstände einige interessante Anpassungen an diesem Begleiter vornehmen. Voltweave Fez: Hati setzt einen Fez auf. Jolt Jerky: Hati heilt sich um eine geringe Menge. Manchmal freut Hati sich so sehr, dass sie dem Jäger das Gesicht ableckt und dabei leichten Naturschaden verursacht. Rubber Ball: Der Jäger wirft einen Ball für Hati. Ironspine Protocol: Hati erhält einen Sattel und kann geritten werden. Charged Sparkstone: Die rein optischen Blitze von Hati werden verstärkt und leuchten heller. Einige der folgenden Klassenänderungen sind aktuell bereits auf den Liveservern von World of Warcraft aktiv. Death Coil Fires a blast of unholy energy at the target, causing [ 36.46% [ 43.75% of Attack Power ] Shadow damage to an enemy. Reduces the cooldown of Dark Transformation by 1 sec. Death Knight – Unholy Spec. Death Knight – Unholy Spec. 40 Runic Power. 30 yd range. Instant. Celestial Alignment Celestial bodies align, increasing the damage of all your spells by 15% and granting you 15% Haste granting 40 Astral Power, and increasing spell damage by 15% and Haste by 15% for 20 sec. Can’t be cast in Travel Form, Aquatic Form, Flight Form. Druid – Balance Spec. Druid – Balance Spec. Instant. 3 min cooldown. Efflorescence Grows a healing blossom at the target location, restoring [ 14.11% [ 16.2% of Spell Power ] health to three injured allies within 10 yards every 2 sec for 30 sec. Limit 1. Can’t be cast in Moonkin Form. Druid – Restoration Spec. Druid – Restoration Spec. 21.6% of Base Mana. 40 yd range. Instant. Focused Growth Reduces the mana cost of your Lifebloom by 25% 20%, and your Lifebloom also applies Focused Growth to the target, increasing Lifebloom’s healing by 25% 20%. Stacks up to 3 times. PvP Talent. PvP Talent. Requires Druid. Requires level 40+. Lifebloom Heals the target for [ 135% of Spell Power ] over 15 sec. When Lifebloom expires or is dispelled, the target is instantly healed for [ 80% of Spell Power ]. Limit 1. Can be cast in Tree of Life Form. Can’t be cast in Cat Form, Travel Form, Bear Form, Moonkin Form. Limited to 1 target. Druid – Restoration Spec. Druid – Restoration Spec. 12% 11.2% of Base Mana. 40 yd range. Instant. Wild Growth Heals up to 6 injured allies within 30 yards of the target for [ 69.3% of Spell Power ] over 7 sec. Healing starts high and declines over the duration. Tree of Life: Affects an additional 2 targets. Can’t be cast in Cat Form, Travel Form, Bear Form, Moonkin Form. Druid – Restoration Spec. Druid – Restoration Spec. 30% 28% of Base Mana. 40 yd range. 1.5 sec cast. 10 sec cooldown. Binding Shot Fires a magical projectile, tethering the enemy and any other enemies within 5 yards for 10 sec, rooting them in place for 5 8 sec if they move more than 5 yards from the arrow. Hunter – Level 75 Talent. Hunter – Level 75 Talent. 30 yd range. Instant. 45 sec cooldown. Butchery Strike Attack all nearby enemies in a flurry of strikes, inflicting [ 80% of Attack Power ] Physical damage to each. Reduces the remaining cooldown on Wildfire Bomb by 1 sec for each target hit, up to 5. Requires Two-Handed Melee Weapon. 3 charges. 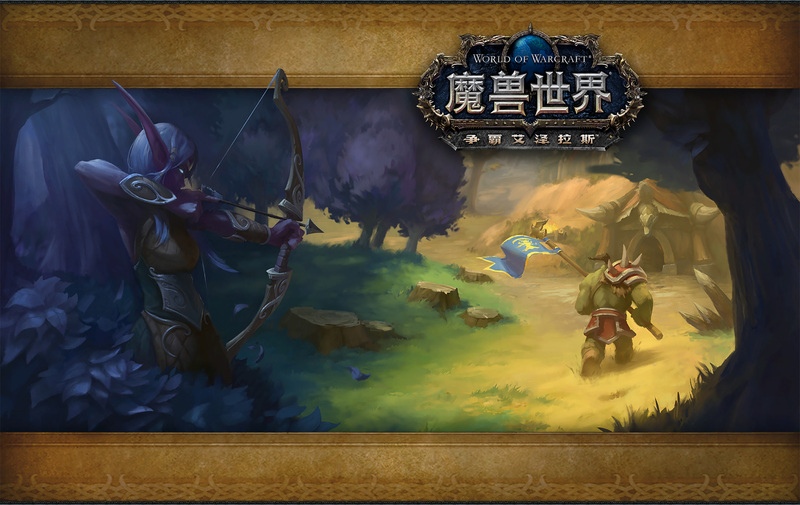 Survival Hunter – Level 30 Talent. 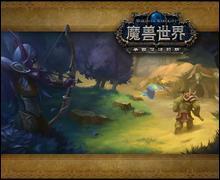 Survival Hunter – Level 30 Talent. 30 Focus. 8 yd range. Instant. 9 sec recharge. 3 charges. Carve (New) Carve reduces the remaining cooldown on Wildfire Bomb by 1 sec for each target hit, up to 5. Hunter – Survival Spec. Hunter – Survival Spec. Energizing Elixir Chug an Energizing Elixir, refilling all your Energy and instantly generate 2 Chi granting 2 Chi and generating 75 Energy over 5 sec. Windwalker Monk – Level 45 Talent. Windwalker Monk – Level 45 Talent. Instant. 60 sec cooldown. 1 sec global cooldown. Avenging Wrath Holy: Call upon the Light to become an avatar of retribution, increasing your damage, healing, and critical strike chance by 20% for 20 sec. Instant. 2 min cooldown. Your first Holy Shock will critically strike. Protection: Call upon the Light to become an avatar of retribution, increasing your damage, healing, and critical strike chance by 20% for 20 sec. Your first Judgment will critically strike. Retribution: Call upon the Light to become an avatar of retribution, increasing your damage, healing, and critical strike chance by 20% for 20 sec. Your first Templar’s Verdict or Divine Storm will critically strike. Instant. 2 min cooldown. Adrenaline Rush Increases your Energy regeneration rate by [ 60 + 25% of Spell Power ]%, your maximum Energy by 200 and your attack speed by 20% for 20 sec. Rogue – Outlaw Spec. Rogue – Outlaw Spec. Instant. 3 min cooldown. 0.8 sec global cooldown. Lightning Lasso Grips the target in lightning, stunning the target and dealing O2% of the target’s maximum health in Nature damage over 5 sec. Can move while channeling. PvP Talent. PvP Talent. 20 yd range. 5 sec cast (Channeled). 30 sec cooldown. Requires Shaman. Requires level 40+. Ascendance Transform into a Water Ascendant for 15 sec, causing all healing you deal to be duplicated and immediately healing for [ 600% of Spell Power ] and duplicating all healing you deal distributed evenly among nearby allies. Restoration Shaman – Level 100 Talent. Restoration Shaman – Level 100 Talent. Instant. 3 min cooldown. Restoration Shaman Restoration Shaman core passive Increases damage/healing by 46%: Ascendance: Chain Heal, Downpour, Earth Shield, Healing Rain, Healing Stream Totem, Healing Surge, Healing Wave, Restorative Mists, Riptide, Tidebringer, Unleash Life, Wellspring Increases periodic damage/healing by 46%: Ascendance: Chain Heal, Downpour, Earth Shield, Healing Rain, Healing Stream Totem, Healing Surge, Healing Wave, Restorative Mists, Riptide, Tidebringer, Unleash Life, Wellspring Increases damage/healing by 55%: Chain Lightning, Earthquake, Flame Shock, Flametongue Attack, Lava Burst, Lightning Bolt, Stormstrike, Stormstrike Off-Hand, Windfury Attack, Windstrike, Windstrike Off-Hand Increases periodic damage/healing by 55%: Chain Lightning, Earthquake, Flame Shock, Flametongue Attack, Lava Burst, Lightning Bolt, Stormstrike, Stormstrike Off-Hand, Windfury Attack, Windstrike, Windstrike Off-Hand Increases damage/healing by 14%: Lava Burst Shaman – Restoration Spec. Shaman – Restoration Spec. Execute Attempts to finish off a foe, causing up to [ 161.2% [ 174% of Attack Power ] Physical damage based on Rage spent. Only usable on enemies that have less than 20% health. If your foe survives, 20% of the Rage spent is refunded. Requires Melee Weapon. Warrior – Arms Spec. Warrior – Arms Spec. 20 Rage. Melee range. Instant. Mortal Strike A vicious strike that deals [ 110% [ 119% of Attack Power ] Physical damage and reduces the effectiveness of healing on the target by 25% for 10 sec. Requires Two-Handed Melee Weapon. Warrior – Arms Spec. Warrior – Arms Spec. 30 Rage. Melee range. Instant. 6 sec cooldown. Overpower Overpower the enemy, dealing [ 70% [ 75.6% of Attack Power ] Physical damage. Cannot be blocked, dodged, or parried. Increases the damage of your next Mortal Strike by 20%, stacking up to 2 times. Requires Melee Weapon. 1 charge. Warrior – Arms Spec. Warrior – Arms Spec. Melee range. Instant. 12 sec recharge. 1 charge. Rend Wounds the target, causing [ 23.21% [ 25% of Attack Power ] Physical damage instantly and an additional [ 81.12% [ 87.6% of Attack Power ] Bleed damage over 12 sec. Requires Melee Weapon. Arms Warrior – Level 45 Talent. Arms Warrior – Level 45 Talent. 30 Rage. Melee range. Instant. Slam Slams an opponent, causing [ 55.61% [ 60% of Attack Power ] Physical damage. Requires Two-Handed Melee Weapon. Warrior – Arms Spec. Warrior – Arms Spec. 20 Rage. Melee range. Instant. 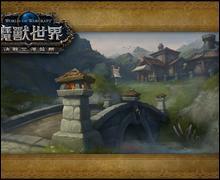 Die folgenden Anpassungen wurden in dieser Woche sowohl auf den PTR von Patch 8.1.5 als auch auf die Liveserver von World of Warcraft aufgespielt. Feeding Frenzy Barbed Shot deals 1,492 276 additional damage over its duration, and Frenzy’s duration is increased to 9.0 sec. Light’s Decree Spending Holy Power during Avenging Wrath causes you to explode with Holy light for 80 56 damage per Holy Power spent to nearby enemies. Avenging Wrath’s duration is increased by 5 sec.